Newcomer Family Obituaries - Dewey E. Saylor 1934 - 2019 - Newcomer Cremations, Funerals & Receptions. Saylor, Dewey E. age 84, of Cincinnati, Ohio passed away on Thursday, January 31, 2019. He was born in Harlan County, Kentucky on September 7, 1934 to the late Jasper Carroll and Nannie M. Saylor Clark (nee Helton). He was preceded in death by his daughters, Donna Kay Warfield and Felicia DeLynn Griffin; and granddaughter, Amber Renee. 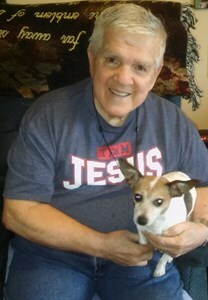 Dewey is survived by his beloved fiance, Jean Parrott; daughters, Debbie (Bill Sr.) Mason, Faye Dereen (Jeff) Thompson, DeaEtta Miles; daughter/granddaughter, Shannon (David) Shelley; sister, Shelvia (Jerry) Rose; eleven grandchildren and twenty two great-grandchildren; and many other family members and friends. In lieu of flowers, contributions may be made to Northside Pentecostal Church of God, 4220 Leeper Street, Cincinnati, Ohio 45223. Funeral Ceremony will be 11:00 am Tuesday, February 5, 2019 with a visitation from 10:00 am - 11:00 am at Newcomer Cremations, Funerals & Receptions - Northwest Chapel, 7830 Hamilton Avenue, Cincinnati, Ohio 45231. To share a memory of Dewey or leave a special message for his family, please click the Share Memories button above. Add your memories to the guest book of Dewey Saylor.